Periodontal treatment- adjuvant antibiotics for diabetics? 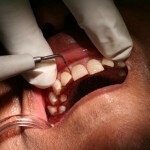 Home » Posts » Dentistry » periodontal disease » Periodontal treatment- adjuvant antibiotics for diabetic patients? Periodontal treatment- adjuvant antibiotics for diabetic patients? Diabetes is considered to be a risk factor for periodontal disease and reviews have suggested that periodontal treatment improves control of HB1Ac. Reviews have also suggested that the use of systemic antibiotics might improve periodontal outcomes in some populations. The aim of this study was to review randomized clinical trials assessing systemic antimicrobial use adjuvant to scaling and root planing (SRP) versus SRP alone in diabetic patients. Searches were conducted in the PubMed/MEDLINE, Cochrane-CENTRAL, EMBASE, TRIP, ISI Web of Science, LILACS, clinical trials registry and OpenGrey databases. This was supplemented by searches of the Journal of Clinical Periodontology, Journal of Periodontal Research and Journal of Periodontology. Clinical trials involving diabetic patients with periodontitis comparing scaling and root planing alone or with placebo against SRP and systemic antimicrobials were considered. Two reviewers independently selected studies, abstracted data and assessed risk of bias. The risk of bias assessment was based on the Cochrane handbook. Data analysis followed Cochrane statistical guidelines. Prescribed antibiotics varied in type and dosage (amoxicillin/clavulanic acid, 875 mg; doxycycline, 20/100/ 200 mg; azithromycin, 500 mg; metronidazole, 400 mg + amoxicillin, 500 mg; once, twice and three times a day) and period of intake (3, 13, 14, or 15 days; 3 or 6 months). No statistical differences were seen in WMD for CAL gain, PI and BOP reductions. Our results seem to support the adjunctive clinical benefits of antimicrobial therapy in terms of PD reduction. 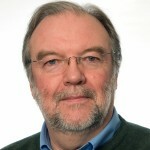 However, the need to use antibiotics in association with SRP must be considered carefully; any systemic protection provided by antibiotics and the small gain in clinical PD status must weighed against the known risks of enhancing the development of antibiotic resistance and other side effects when considering the use of antibiotics in conjunction with SRP in diabetic subjects. The clinical significance of these improvements is questionable and should be further investigated. While the studies included in this review were considered to be at low risk of bias they were small the largest only including 38 patients. A majority of the studies (10) used doxycycline although a range of dosages were employed. Overall use of antibiotics only demonstrated a statistically significant benefit for improved one of the periodontal parameter investigated, probing depth. However, with was only 0.15mm and is of questionable clinical relevance and given the growing concerns regarding antibiotic resistance routine use in this or any population should be questioned. Grellmann AP, Sfreddo CS, Maier J, Lenzi TL, Zanatta FB. Systemic antimicrobials adjuvant to periodontal therapy in diabetic subjects: a meta-analysis. J Clin Periodontol. 2016 Mar;43(3):250-60. doi: 10.1111/jcpe.12514. Review. PubMed PMID: 26790108. Non-surgical periodontal treatment – is there a role for systemic antibiotics? If you have periodontal disease, it is important to get treatment. Conditions such as diabetes can make the situation much worse! It’s a good idea to come up with a treatment plan with the help of your physician and dentist.